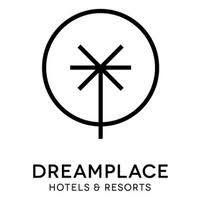 Travel cheaper with our Dreamplace Hotels coupons and deals. The properties stand out as luxury hotels with a unique charm. Places where relaxation, elegance, design and history are in perfect harmony with the environment. All Inclusive and a wide range of facilities are available, making this hotel chain ideal both for family or couple holidays. Enjoy a 5* experience with the elegance you’ll find in every detail. Welcome to the perfect place to enjoy a simply unforgettable holiday. Book now and no need to think about paying until you arrive at the hotel.